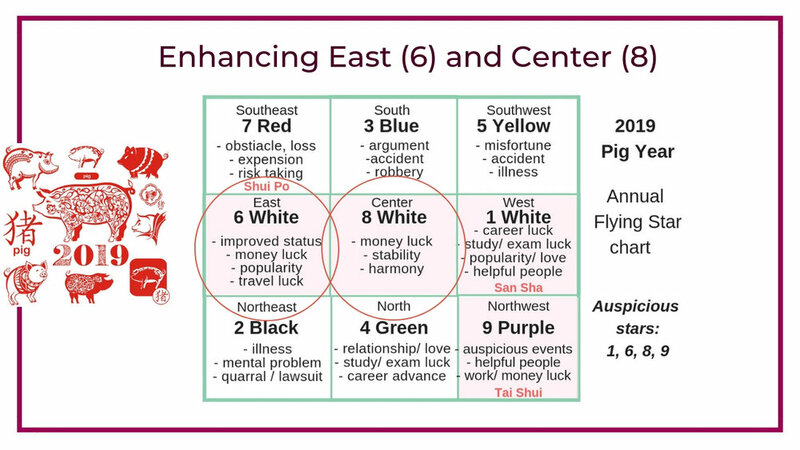 For wealth and money luck of 2019, focus on the Center and East sectors of the house. 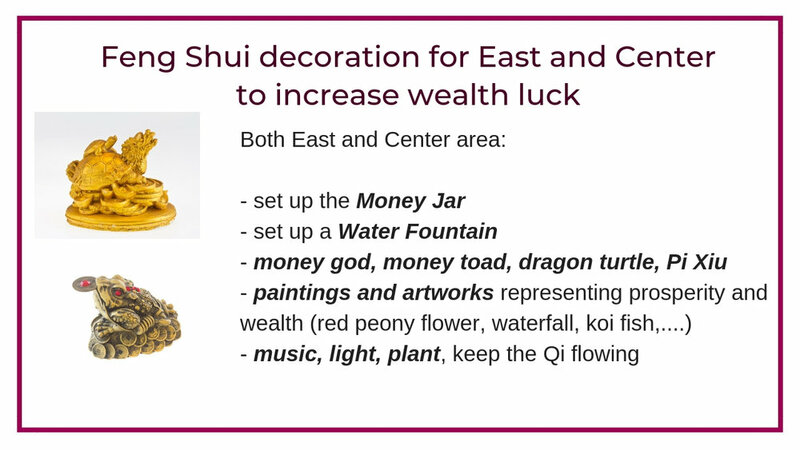 Display Feng Shui decor, cure, and enhancer in these areas. 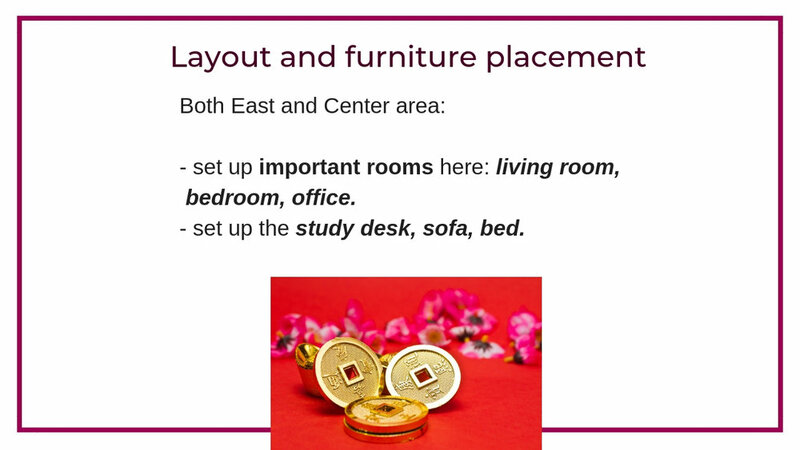 Place important rooms and furniture in the East and Center sectors to take advantage of the good energy. 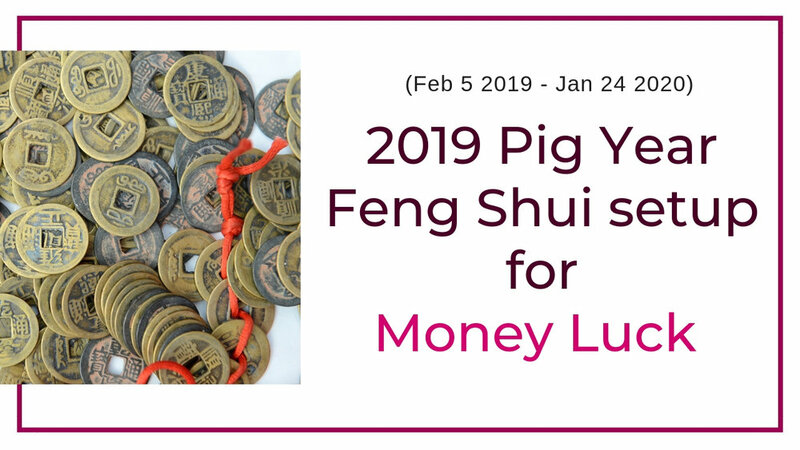 To get the free pdf download of 2019 Pig year Flying Star annual chart and 12 animal sign analysis, CLICK HERE.